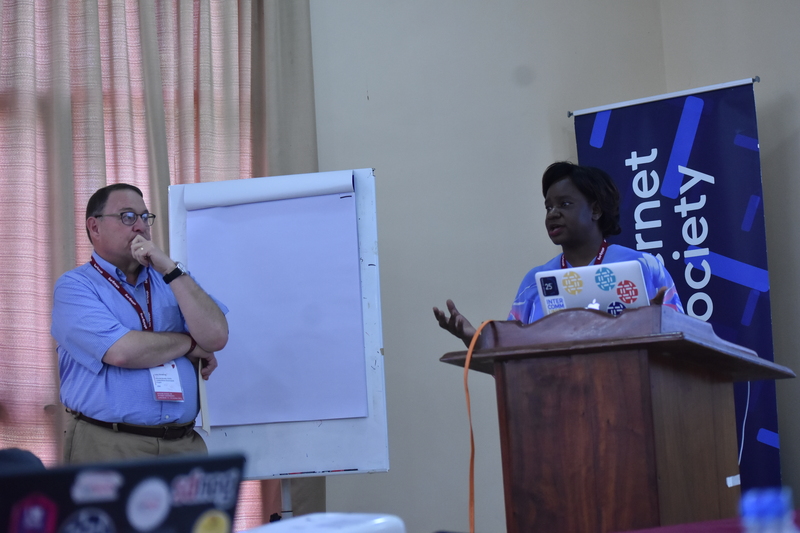 The Internet Society’s Collaborative Internet Governance Project Workshop, facilitated by Larry Strickling and Fiona Asonga of the Internet Society (ISOC), evaluates different negotiation processes by exploring multiple case studies and scenarios. The purpose of the event is to help fellows from the school of internet governance to build their capacity for effective negotiation in complex, real-life situations. Having run the event with fellows from the European School of Internet Governance (EuroSIG) and the African School of Internet Governance (AfriSIG), Strickling was able to offer some thoughts on each school’s response to the different case studies as well as their general performances. Overall, Strickling found that both the European and African schools, held in Germany and Zanzibar respectively, drew intelligent, engaged and energetic fellows who brought an interesting range of professional experience and insight. Participants at both workshops performed well in the simulated exercises and engaged in high-level reflection and discussion around the topic of negotiation. Strickling did, however, notice some small differences between the fellows at each school in terms of their responses to the different case studies. “Comparing the continents from which the fellows of both schools came from, it was exciting to note that they both brought different backgrounds to the workshop. For instance, the African fellows were a little more competitive compared to their European counterparts, which was reflected in the oil pricing case study,” he said. The oil pricing exercise, used as the first scenario in both schools, was intended to impress upon fellows the importance of establishing trust for a successful negotiation. According to Strickling, however, this was difficult for participants at both schools to accept and implement. Many seemed to forget that in order to achieve a win-win outcome, they must learn to cooperate with and trust one another. He noticed, however, that trust was a bigger issue at the African school. “Fellows had difficulties trusting each other during the negotiation processes,” Strickling remarked. “This is not a form of criticism but a reflection of the cultural differences in terms of how fellows responded to these types of activities,” he added. For Strickling, this prevailing tendency to distrust, found in both schools to different degrees, demonstrates the need to move beyond the idea of “winners” and “losers” in the negotiation process and start approaching situations with the aim of finding a “win-win” result. From the perspective of the participating fellows, the workshop not only offered invaluable negotiation training and skills development, but also served as an important reminder of the need for trust – a lesson which they will each be able to take back and apply in their own countries. Adewale Idowu Anthony is programme officer at Media Rights Agenda (MRA), a Nigerian non-governmental organisation that defends and promotes freedom of expression, freedom of information and digital rights. As part of his roles at MRA, he monitors respect for human rights on the internet including freedom of expression, access to information, right to freedom of assembly, association, and privacy. ← AfriSIG 2018: How does the General Data Protection Regulation affect Africa?